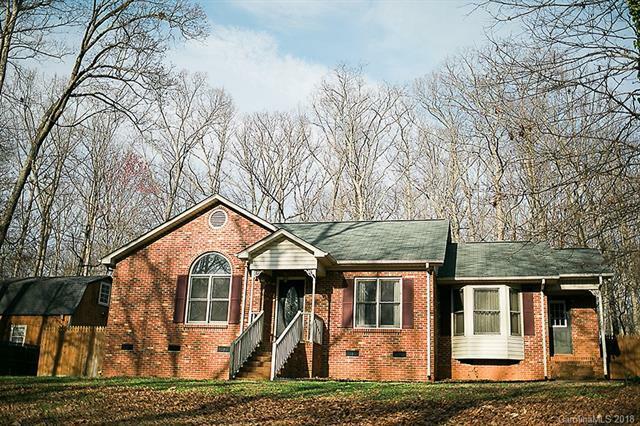 Charming brick ranch on a beautiful large wooded lot. Master Bedroom has cathedral ceiling, half moon window over double windows looking out into front of lot. Ceiling fans in all bedrooms. Kitchen features stainless steel appliances, a breakfast bar, and a pantry with adjoining dining area. Large great room with wood floors and French doors that open into a large screened deck, complete with vaulted ceiling and hot tub. Yard features extended decking and an additional brick and stone patio area with built in fire pit. 2 story barn style outbuilding with loft and electricity.